We all have moments in life where low confidence takes over and we question our actions and decisions, often leading us to not doing the things we really want to, for fear of failure, or what others will think of us. We can underestimate our value; not because we are incapable, but because we lack confidence. With self-belief you can achieve your highest potential and travel further than you ever dreamed. The first step of this is beginning to trust your own instinct and have confidence in your decisions rather than worrying about what other’s might think of you. Further your career, start a business, get the dream relationship you have always wanted. Or simply find the time for yourself and a little bit of balance and peace. If you felt confident enough to go out into the world and achieve your goals and dreams…How great would that be? 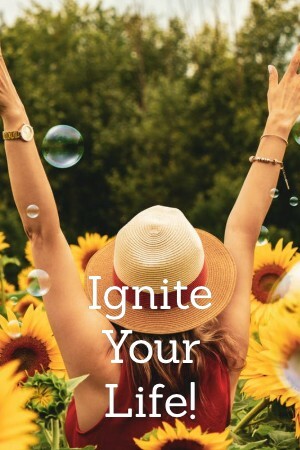 Use the Ignite program to put those changes in place. Carefully feed the fire within and reclaim your confidence, find your authentic self and build on your new sense of energy. You have it in you to manage life effectively and make the right decisions for your future. It’s time to step inside your confidence right here, right now. My role as your coach is to support you, challenge and encourage you. I’ll tease out the truth in order to empower you to make positive and well thought out choices. Give yourself a break– discover the strength to stop seeing mistakes and failure – and start seeing learning and growth. One step at a time – work at a pace that’s right for you. How can you give yourself a schedule of change that works with your lifestyle? Get the confidence – Take charge of your destiny and start to believe in your feelings and emotional well-being. Find out more about igniting your confidence today. Call me for a free consultation so you can find out if I’m the right coach for you – let’s get to know one another and see if we can do great things together.